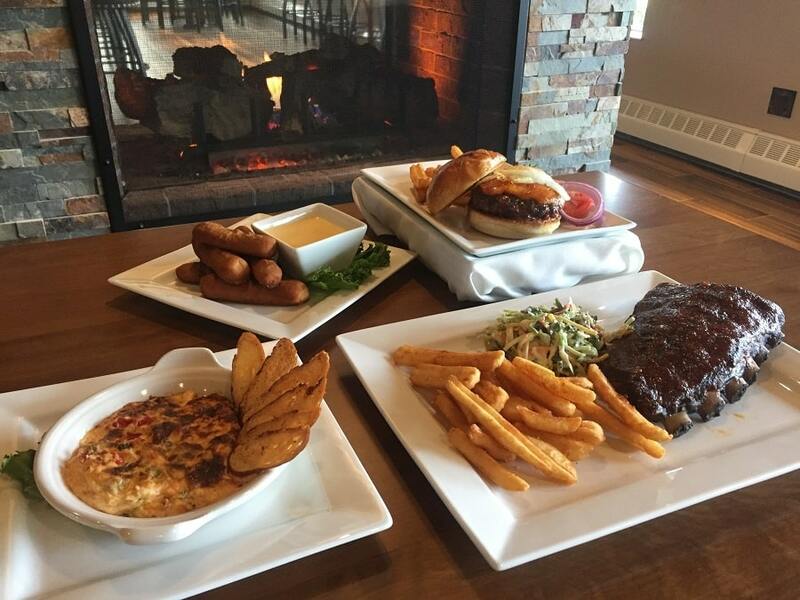 Bradley’s Pub & Grille at the Interlochen Golf Course features a full range of smoked and BBQ foods, as well as local selections. This completely remodeled space has a full bar with big screen televisions, as well as a quieter dining area overlooking the golf course. Open to the public year-round and club members receive 10% off all food purchases. Michigan PGA professional Brad Dean purchased the golf course in 2016 and is excited to add another dining option to the Interlochen community. Entertainment and live music throughout the season. Located at the Interlochen Golf Course, just one mile west of the main corners in Interlochen. Open 11 am to 10 pm, seven days a week. Find menus here. Facebook here. Kids menu available; private dining room and reservations accepted for parties of 10 or more.